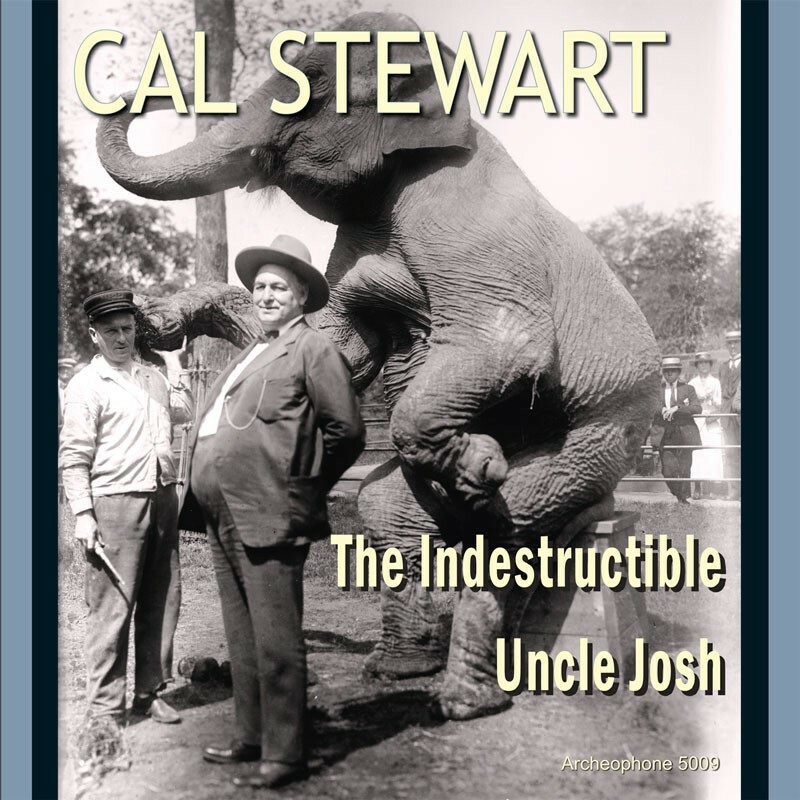 A humorist who spent 22 years waxing his Uncle Josh stories, Cal Stewart was the first performer whose stage appearances were celebrated by reference to his records rather than the other way around. In his famous role as "rube" Uncle Josh Weathersby, he entertained millions of listeners with tales of his antics both in New York City and at home in Punkin Center. The Indestructible Uncle Josh provides a snapshot of Stewart's repertoire at the height of his career, featuring all 25 of his 2-minute cylinders for the Indestructible company and a choice sampling of his work on U-S Everlasting cylinders. The package includes a 28-page booklet with notes by Stewart expert and scholar Patrick Feaster. Visit The Indestructible Uncle Josh's expanded catalogue page to see the complete track listing, read an extended description, and listen to sound samples.